The Birmingham Post this week outlines the case for Channel 4 to relocate to the city from London. In a special supplement, the Post highlights the reasons why the broadcaster should consider the city above all others for its new base as it prepares to move out of London. In July, Birmingham was named on a three-strong shortlist alongside Leeds and Greater Manchester to house the new national headquarters of the government-owned channel. It is also in the running with five other cities to welcome one of two new "creative hubs", the locations of which should be announced this autumn. The supplement brings together some of the key figures living and working in Birmingham to shout about everything that is happening here, from major new property developments to culture and city living. A delegation from Channel 4 is due to visit Birmingham in the coming weeks when it will meet with the mayor and other civic and business leaders, giving the city another chance to outline the case for the station to base its new HQ here. West Midlands Mayor Andy Street said: "We are at a critical stage in the campaign to bring Channel 4&apos;s new HQ to Birmingham and we&apos;re at the point where the issues like sites and attracting staff to our region are becoming key. 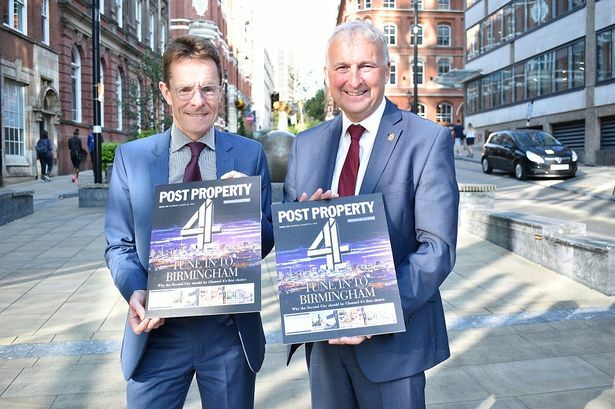 "The Birmingham Post has done a fantastic job of showcasing what makes Birmingham a fantastic place to live and work and given really valuable backing to the bid at a really important time. "With the Commonwealth Games, City of Culture, a further £1 billion of government investment in homes, transport, skills and supporting businesses over the last 12 months, this is a region going places - it would make perfect sense for Channel 4 to join us. "A huge amount of work is going on behind the scenes, working with Channel 4&apos;s top people and the timetable they have set out, and kept to so far, suggests we should hear a final decision at the end of September or start of October." The supplement can also be read online here.